Here is some software that I use at the moment, just the ones I can think of off the top of my head. Note: everything mentioned here is free software; most of it under the GNU GPL, most of the rest under even less restrictive licenses, and all of it meets the Debian Free Software Guidelines and thus likely also falls under the Open Source Definition. If you haven't already, you should try make and a debugger. They're absolutely essential. The names vary depending on what compiler you are using, but for GCC/g++, it's "make" and "gdb" (the GNU Debugger). Some general programming software that I use under Linux (but works on other platforms unless otherwise noted). Kate, KDevelop: Very nice IDEs for KDE (specifically, Qt, which means you could probably run them under Windows as well). Doxygen: takes your source code and generates documentation. Works best if you write special Doxygen comments, but you can use any source code written in C, C++, or Java (and maybe other languages as well). I know it has already been mentioned, but version control systems are essential. Here are some of them, as well as related programs. Concurrent Versions System (CVS): once (and possibly still) the most widely-used version control system. It's basically a front end to RCS that supports multiple files. Subversion (SVN): a very nice version control system that supposively fixes some of CVS's issues. For example, versions are project-wide, so you don't have to compile main.c version 1.4 with network.c version 1.7.
screenshot in Wikipedia and you'll see what I mean. kdesvn: the graphical client for subversion that I use, based on RapidSVN, but there are many of them out there. Makes using a version control system easier. SDL libraries list: a huge list of libraries compatible with the SDL. The search option only lets you search titles, however, so I find it's best to display all results (which my link does) and use your browser's search feature. SDL_image: with this, you can open images in almost any format. Let's see; it supports BMP, GIF, JPEG, LBM, PCX, PNG, PNM, TGA, TIFF, XCF, XPM, and XV. It's really easy to use, too. You just call IMG_Load(filename), and it figures out the type of the file etc. SDL_ttf: TrueType fonts for the SDL. You can load ordinary fonts like FreeMono.ttf (Linux) or Courier New (Windows). The resulting text looks much better than bitmap fonts. It's a bit difficult to use, but the result is worth it. SDL_gfx: support for drawing graphics primitives such as: lines, circles, polygons, ellipses, pies, in normal, anti-aliased (smoothed), and filled modes (and sometimes anti-aliased filled, too). Also supports image rotating and scaling or zooming. It also has other features that I've never figured out. >Kompare: the nicest (graphically) diff program I've ever come across. Meld is also a pretty sweet diff front end. It lets you click sections of the file back and fourth when merging. Visual C++ 2008 Express Edition! The firebird link took me to an irrelevant page. Hair products--hair shampoo, hair jewelery,hair loss solutions etc. The Firefox project has undergone several name changes. Originally titled Phoenix, it was renamed because of trademark issues with Phoenix Technologies. The replacement name, Firebird, provoked an intense response from the Firebird free database software project. In response, the Mozilla Foundation stated that the browser should always bear the name Mozilla Firebird to avoid confusion with the database software. Continuing pressure from the database server's development community forced another change; on February 9, 2004, Mozilla Firebird became Mozilla Firefox, often referred to as simply Firefox and Mozilla prefers it be abbreviated as Fx or fx. 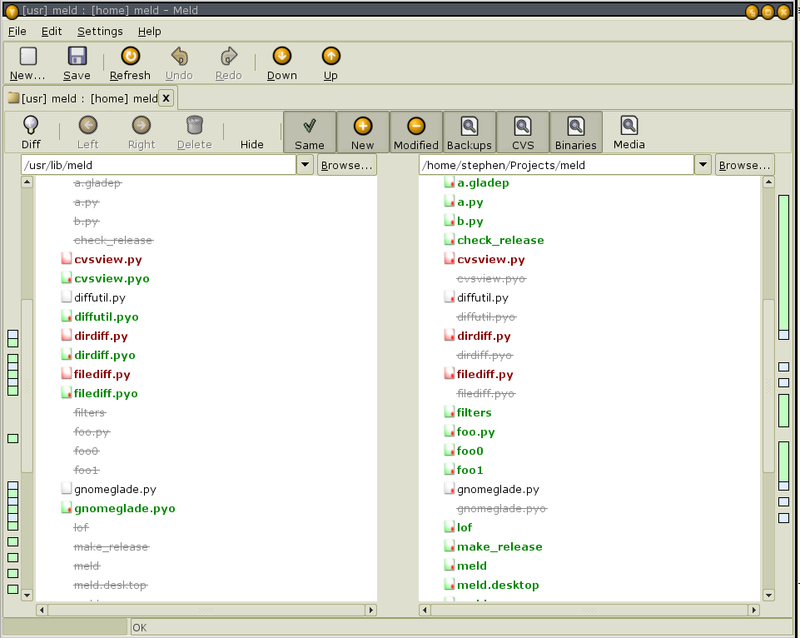 gprof (part of GCC): the GNU profiler. It's a very nice way to figure out what really needs optimising, though I can't get it to work very well for SDL programs . . . SDL_BlitSurface() takes 100&#37; of the time, apparently. gcov (also part of GCC): a program to test code coverage. It lets you figure out what really gets executed, and what doesn't, and how often. Last edited by dwks; 02-06-2008 at 12:09 PM. oh! yes i have firefox. I thought firebird is something different so i wanted to try it out. thanks. I thought firebird is something different so i wanted to try it out. It is something different. Firebird is an open source relational database management system. Relational database Management system ? I thought its a browser, alternative for IE. Last edited by abh!shek; 02-07-2008 at 09:47 AM. Read the wiki about firefox or post a new thread. Lets leave this one for what it's meant to be. I will bookmark this, thank you for sharing the list. Everything I need to know and download are all here.